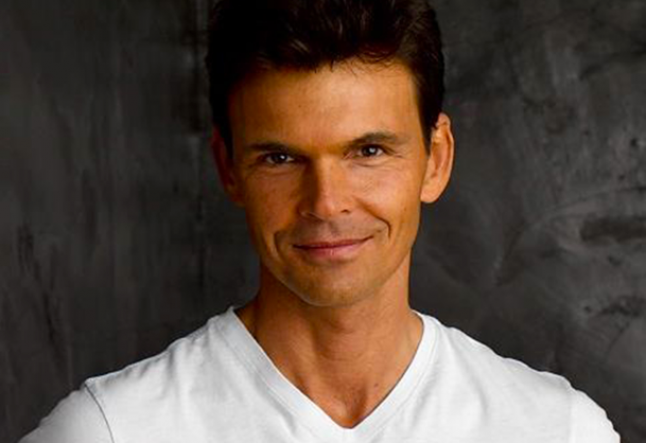 Matthew Kenney is at the forefront of the fast-growing, global vegan/raw food movement, considered a top chef and trainer in the field, an author of several best selling raw food recipe books. He is also the founder of the renowned Raw Food Culinary Institute "105 Degrees" in Oklahoma City.Matthew recently opened a second raw food center dedicated to the teachings of raw and living cuisine in Santa Monica, California. The center includes a raw food academy for future chefs known as the “Matthew Kenney Culinary School”, and its own in-house raw food restaurant “M.A.K.E”. ﻿﻿Kenney is also developing an online training program as an innovative way to share the academy's instructional contents to Raw food enthusiasts throughout the world. The Rawkettes for Yogi Times: How did you go from being a classically trained chef to being a raw foodie? Matthew Kenney: It was a long slow journey, but then it all happened very quickly at the end. I had a number of restaurants in New York. I wasn´t focused on being vegetarian, but in my personal life I was being more drawn to a vegetarian diet. Many of my meals would consist of vegetables or grains, and I even explained to some friends I would want to become vegetarian, but with my background, both personally and professionally, it wasn't something I was programmed to think about.But then one day a friend invited me to a raw food restaurant in New York. I had heard of raw food but didn't know much about it. And it was just one of those moments when I realized “wow, this is really cool”, and I felt like it was a natural progression. I also had a vision that if we could apply a certain style and culinary aspect to raw food it would really be one of the next great cuisines. So the next day, I just started diving into it, and made it my profession and my life. The Rawkettes: So is raw foods finally accepted as a type of cuisine in the cuisine industry, or do you still find yourself having to fight for it or show what you can do with it? Matthew Kenney: I think the answer is both, depending on where you are. Here in southern California people are very open minded and excited about it. You don't have to explain to too many people what it is, they're quite familiar. But of course, in other parts of the country and other parts of the world people are more skeptical. So I think a lot of it depends on the climate. You know there are millions of people now who know and appreciate what raw food means and is all about. So I think it has really expanded a lot in the last few years. The Rawkettes: What category of raw food cuisine is the most inspirational for you? Is it the desserts or the main courses or chocolate? Matthew Kenney: : We built a test kitchen last year called “Plant Lab”, and our corporate chef has done a lot of modernist cuisine, and has worked in Europe. So these days what I'm really excited about are dishes that utilize some of these new techniques and equipment, like thermo immersion, smoking, and different forms of fermentation. Just minimally processed, clean, organic foods with very low use of nuts. I would say the modernist approach to raw food which lightens it and keeps it really fresh and lively, and focuses on the quality of the vegetable. And most of these dishes are small appetizers, I do like small plates. The Rawkettes: So you now operate two raw food education centers in the US. What are the differences between your academy in Oklahoma, and your culinary school in Santa Monica, in terms of what you learn at the different centers? Matthew Kenney: The curriculum between the two is very similar. At both schools we do a level 1 and level 2, fundamentals of raw cuisine, and advanced techniques, both one month courses. Santa Monica is a little bit larger, and we incorporate a green market into it. Oklahoma is state licensed, and it may be slightly more structured. But in general we provide the same education. I think the student could go to one or the other and have similar skills. The Rawkettes: Do you teach any of the classes yourself? Matthew Kenney: I taught one of the level 2 classes, but typically I don´t. All of our instructors are graduates of our school, and they put a lot of time into understanding the curriculum, and delivering it. So in general, I'm at one or the other location to support the business, but we also have restaurants attached and a lot of outside events and so forth, so no, I'm not one of the teachers. I will be teaching one of the online courses. The Rawkettes: what online courses? Can you elaborate on that? Matthew Kenney: We are launching an online academy on January 3rd. It's actually been open for enrollment for a couple of months now, and that's going to be a very cool project. It's a combination of videography and video interaction with instructors. There's also an online forum. It's going to be a really dynamic, cutting edge kind of project, we've been working on it for months! The Rawkettes: How does it work, the people who join the program are watching the videos and cooking together with the videos? Matthew Kenney: Well it will be in a lot of ways like going to a classroom. You log on, and there will be a video almost just like a lecture that you will receive in a classroom. The day will consist of a number of interactive exercises where students may make a dish, and upload a photo of it to the online forum, so you can look at 20 different versions of the same dish, and make comments and ask questions. The Rawkettes: Sounds very exciting. Matthew, you say you have a lot of great chefs who are teaching at your schools, what is your definition of a great chef? Matthew Kenney: Well, it has changed a lot in the last few years. I think first and foremost a great chef should have a strong understanding of the fundamentals, such as knife skills, organization, and use of equipment. A foundation in different cultural cuisine is important too, I think you have to have a historical understanding to be able to create. Second, a deep appreciation for seasonal and local ingredients, and just quality ingredients in general. And third would be a creative mind, to dream a little bit. I think that's the perfect “recipe” for a great chef. The Rawkettes: How do you define success then, and do you consider yourself successful? Matthew Kenney: I´m very pleased with a lot of things we've been able to accomplish. But my goal is pretty large. I want to see the way people define food to be redefined. I think that any time we can please a diner or a friend, or anybody at the table with the food that we're making we're successful to some extent. But on a macro scale, changing the food landscape is a big goal, not just of mine, but you and I and all of us together. Doing what we do I think will change the way people perceive food, and that's what my big goal is. The Rawkettes: What gets you out of bed every day? Matthew Kenney: Our students, our staff. Just seeing these talented people from all over the world studying the cooking that we do and then taking it out into their world and expressing it and sharing it. In addition, the collaboration between our different companies, I really like to see that growth. The Rawkettes: Do you find yourself being treated like a raw food celebrity? Matthew Kenney: I never feel like a celebrity. I work about 100 hours a week, 7 days a week. I appreciate the articles and everything, and I love that people know about our company and our brand, but truthfully I never feel like a celebrity. I feel the same as I did when I started. 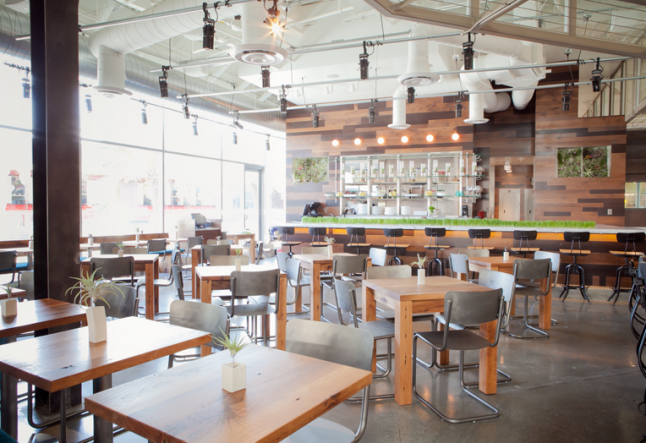 The Rawkettes: In your opinion, what makes a restaurant hip and going? Matthew Kenney: When we develop a new project we never really rely on what we've done previously. We are constantly trying to move forward, and be inventive, and do things even we have never done. So just being on the cutting edge, I think is super important. In addition, creating the right environment and design is super important. No matter what you do with the food, if the environment doesn´t feel right, it is hard to change that once it´s done. Also, obviously, marketing is a big thing. I would say trying to create things that are beautiful, with esthetics in mind. Whether it´s the food, the environment, the music, or the plates. It's really all about the basics at the end of the day. But there´s no magic formula.. The Rawkettes: Would you ever consider opening a business outside of America? Matthew Kenney: Yes, I have considered it. I've looked at projects in Australia and Thailand, in Canada, and Singapore, but they haven't happened yet, but we are considering it. When the timing is right I'm sure we will. The Rawkettes: On a more personal subject now, how do you deal with the stress that comes along with big business ventures? Matthew Kenney: I don't like stress. But it's really part of running a business. Having employees, marketing the business, dealing with the financial side of it, and being creative amongst all the fast moving parts. Sometimes I would like it a bit more peaceful. But it's the path I chose, so I deal with it with exercise and by focusing on one thing at a time. The Rawkettes: Do you ever find yourself wanting to think about other things than raw food? Matthew Kenney: Well, outside of work there are a million things. I love biking, in California we bike by the water, on the coast of Maine. We go golfing, biking or hiking. I just love being outside. I like reading and films, but I haven't had a lot of time for that. Even within work there are many different things I can do, from working on our design, writing content, working on a book, or just dealing with the marketing plan! The Rawkettes: What about your family, are you the only vegetarian in your family? Or have you “infected” everybody else with this vegetarian “disease”. Matthew Kenney: No, my parents have experimented with it. They did the Ornish diet for a while, but they are not vegetarian now. My brother has been a vegetarian for some time, and my sister is a vegan actually. The Rawkettes: How do you feel about it, about your parents not being a vegetarian? Matthew Kenney: You know, I think everybody has their own course in life. I didn´t become vegetarian until I was almost 38-39 years old, and yet I´ve been able to share it with so many people. And a lot of people, I believe, have become vegetarian because the work that I do. And part of the reason that it has allowed them to transform is because of the work that I did when I was not a vegetarian, because the classical training gave me a lot of experience which I can impart into the raw food cuisine. There’s always a reason for everything. So I never really judge or try to push anybody. The Rawkettes: Do you eat only raw food? Matthew Kenney: No, sometimes vegetarian as well. But these days it's been mostly raw because we just opened a new restaurant, and I'm at the space every day. The Rawkettes: What's your favorite fruit? Matthew Kenney: It depends on where I’m traveling. I was in Northern Australia last year and had jackfruit from there. I’ve had jackfruit before, but the jackfruit there was just incredible. If I’m in Mexico I love the mangoes, so it depends on where I am. Usually whatever´s in season, whatever´s local, and what changes throughout the year. I love wild blueberries as well because I grew up on the coast of Maine. The Rawkettes: Any “guilty pleasure foods” that are usually considered to be unhealthy... French fries or muffins that sometimes you feel you want to eat? Matthew Kenney: I really don't. Sometimes I'll have traditional non raw chocolate with regular sugar, but no, I really feel good about everything I eat. You know I guess I found a nice balance between what my body and my palate wants and what's good for me. So for the most part there's an alignment there, and it's not that I´m strict because I don´t really believe in rules. I just try to eat what I feel good about. That's how I discovered raw food to begin with, just through listening to my body´s messages. The Rawkettes: Can you give us some last words of business wisdom on how to deal with criticism? Matthew Kenney: You just have to believe in what you're doing. And if you really do and you know you did your best, criticism doesn´t seem to sting. It used to. Sometimes people give you positive feedback, they´ll say wonderful things, but inside you know you could have done better. So it works both ways. Sometimes you get too much positive, and sometimes too much negative, but at the end it balances out. So I just keep doing what I´m doing. Persistence, I think is the way of dealing with it. The Rawkettes: It´s been a pleasure. Thank you so much Matthew. Matthew Kenney: Thank you, I love what you´re doing at Alchemy.